We all know by now that I'm a big fan of LUSH. Their products are created with so much thought, and they're always so pretty and interesting that most of the time I can't resist popping in when I walk past a store. Plus, with sensitive skin I've never had a bad reaction to their products (which says a lot about some of the nasties other companies put in). If you're interested in animal welfare, I think LUSH is a really good place to shop for a lot of your beauty needs, as the majority of their products and vegan and cruelty free. 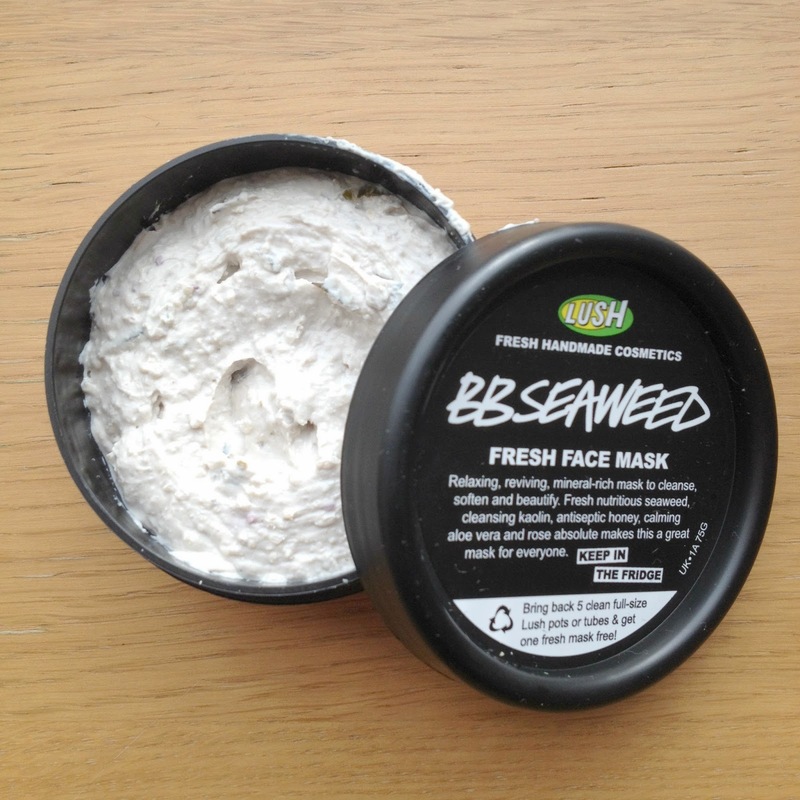 So, usually I'm a big fan of LUSH's Love Lettuce facemask, but I decided to branch out a bit and try their BB Seaweed one, which is their most popular. This mask isn't specifically aimed at any skin type, so if you're not really sure what yours is it's a great one to go for. It is designed to soften and relax skin, so is great for when you're feeling a bit stressed out. 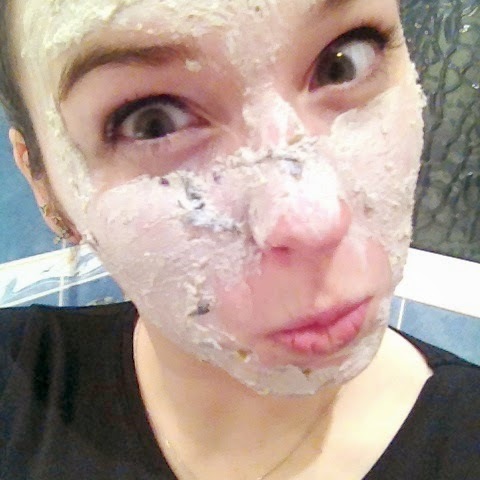 I always do facemasks with my little sister when I go home and, despite her best efforts, I am a fan of doing crazy faces when I've got one on (I look like a nutter already, so what's the harm?). So, kick back, relax, and recognise that you don't have to be serious and look your best 100% of the time. Take some fun me time and learn to laugh at yourself - it can do wonders. At just £6.50 a pot, this does go a long way. I usually get about five uses out of one pot, and the quality of the facemask itself is above and beyond any drugstore one you can get for £1. 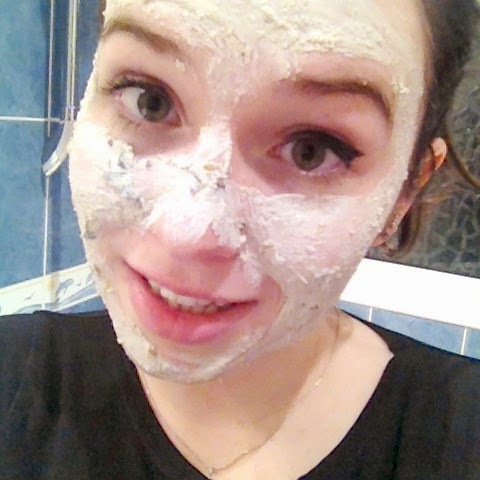 What's your favourite LUSH facemask? Have you tried their products before?